The Village of North Riverside is truly a community of caring and giving people-great Americans, hard working families and generous and compassionate neighbors. North Riverside is also a great place to do business as it is home to corporate giants that actively participate in Village events and support worthy causes. I am especially proud of our residents and business leaders who serve on various advisory committees to the Board of Trustees, offering their time and talent and knowledge and experience to ensure the continued growth and success of our Village. Respectfully known among its residents and neighbors as "The Small Community With A Big Heart” North Riverside embraces and nurtures the precious familiarity and genuine compassion of its rural roots - scarce municipal traits in the 21st Century. An ideal place to live, work and visit, the Village of North Riverside is home to exceptional police, fire, public works, recreation and library services. The Village also has noteworthy schools and houses of worship, an Illinois Army National Guard base, the North Riverside Park Mall, the prestigious Illinois St. Andrew Society and the Riverside Golf Club. 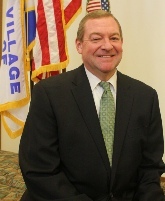 We have set high standards for our Village administration and we continue to exceed our goals, earning national and statewide recognition for our financial management, for our Neighborhood Services Program’s unsung heroes and heroines, and for the annual Betty Scheck Memorial Walk for cancer (the most successful event in this region’s 33-history of the American Cancer Society). Please use this website to learn more about the services available to you and take advantage of them. When in doubt, call the department or organizations listed within this website for more information. Remember that working together, we can continue to make a difference.